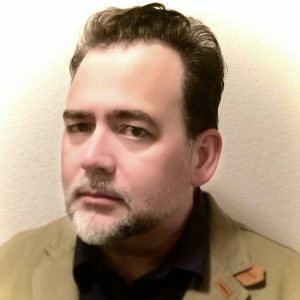 Walter Bosley is a licensed private investigator in California where he also runs his small press publishing company, Lost Continent Library, founded in 2002. An investigator of historical occult mysteries, author of pulp fiction novels (one of which was adapted into the Nova Scotia-made indie feature film The Cuckoo in the Clock), and a screenwriter who has appeared on History Channel’s Ancient Aliens, Bosley has traveled much of the world, both on the job and off, including trips through Mexico and South America with explorer David Hatcher Childress. Born in San Diego, California, Bosley is a graduate of San Diego State University, with a B.A. in Journalism. He spent nineteen years working in national security, first with the Federal Bureau of Investigation, and then with the US Air Force, where he served as a Special Agent of the Air Force Office of Special Investigations. Following his government service, Bosley worked as a counter-terrorism operational consultant for six years. His books include Empire of the Wheel: Espionage, The Occult and Murder in Southern California, Latitude 33: Key to the Kingdom, Shimmering Light: Lost In An MKULTRA House of Anu, and ORIGIN: The Nineteenth Century Emergence of the 20th Century Breakaway Civilizations.